South African Airways recently became an Airbus A340 operator and one of the versions operated on busy long haul routes in the dash 600.This dvd begins with a tour of the A340-600 from a maintenance perspective. This is followed by a typical flight in the cabin from Jo'burg to Frankfurt.The next meeting place is Airbus' facility in Toulouse where our crew is about to take delivery of the last A340-600 for SAA. From the flight preparations we follow the pilots as we ferry the aircraft back to SAA's main base with a detour into British airspace. In 2008 Iberia became the 220th airline to join our Cockpit Series. 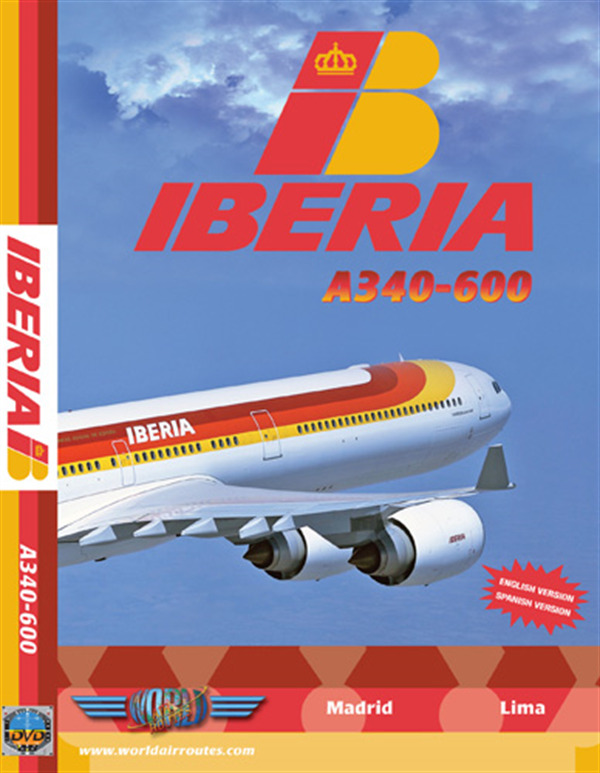 The first of several programs featuring the Spanish carrier takes us in the cockpit of the A340-600 from the airline's hub at Madrid for our first ever flight to Peru where we Hosting the flight is Iberia's Vice-President of Flight Operations, Captain Genova. With his crew you will be introduced to the flight, get a cockpit presentation and walkaround. Another first with this program is a Spanish version in which the pilots do several presentations for our many Spanish viewers around the world.